A 10th grader at the St. Mary’s School (SMS) home campus in Medford, Oregon, Sam recently wrapped up a one-month intensive study on our Haimen campus where he not only greatly improved his Chinese language skills, but he had the opportunity to meet his international classmates, make new friends, travel, discover his favorite foods, experience the authentic Chinese lifestyle, and ultimately gain a deeper understanding of China, its history, and its culture. 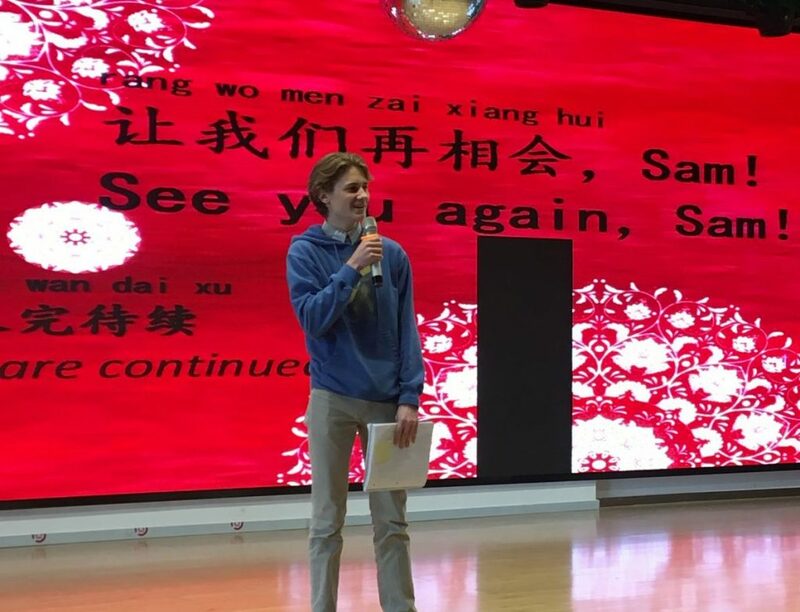 Sam took his first Chinese course in the 7th grade and found it to be entirely different from other languages, with characters that were difficult to draw, and four different tones (some of them quite hard for foreigners to pronounce). But he remained charmed by the language and this year, with three years under his belt, Sam felt ready to visit China. He spoke at length with KL staff about the numerous campuses and locations available, and ultimately chose Haimen for his studies. And while excited to leave, he did have some initial worries. As a vegetarian, would he find food that he enjoyed? Would the air pollution be as bad as he had read? Would it be easy to travel from place to place? Soon after arriving, he could see that he had nothing to worry about. 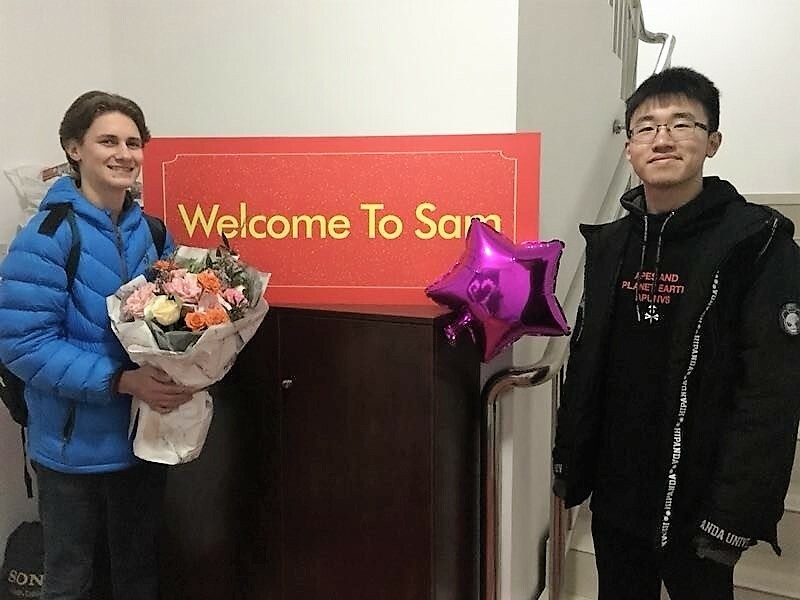 Sam (seen here with classmate Mark) got a warm welcome from his host family! 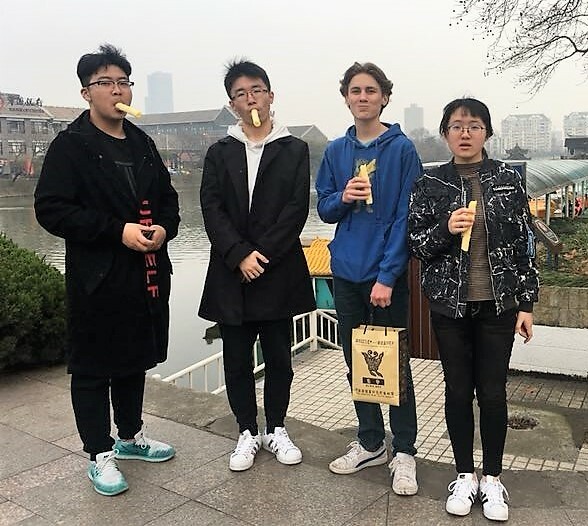 We had a chance to interview Sam before he left China to learn more about his experience, why he believes exchange is the very best way to learn a language, and just what his favorite foods turned out to be! What was your initial impression of Haimen / Jiangsu province? The people here are so nice and warmhearted, so willing to help me whenever I ran into trouble. 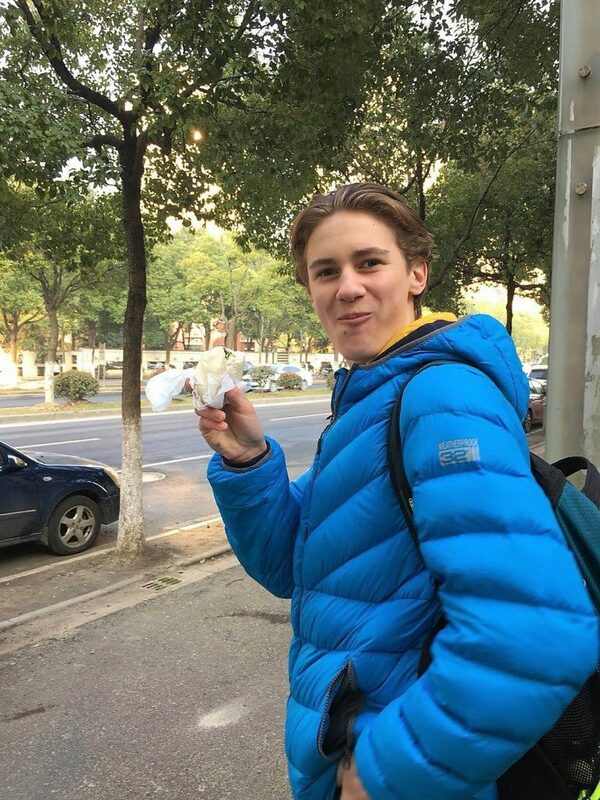 On one of my first days in Haimen, the Chinese principal of my school arranged a trip to both Haimen city and the countryside, to give me a better understanding of my environment, the school, its culture, and the city’s background. The foreign (English-speaking) teachers took me out on the weekends to try different food, to hang around, and to get familiar with life in Haimen. Tell us about your host family and dorm experiences. I experienced a mix of living situations while I’ve been here but I enjoyed the homestay experience the most. I lived with my classmate Mark and his family. They are so kind, and they really wanted me to have a nice experience here. 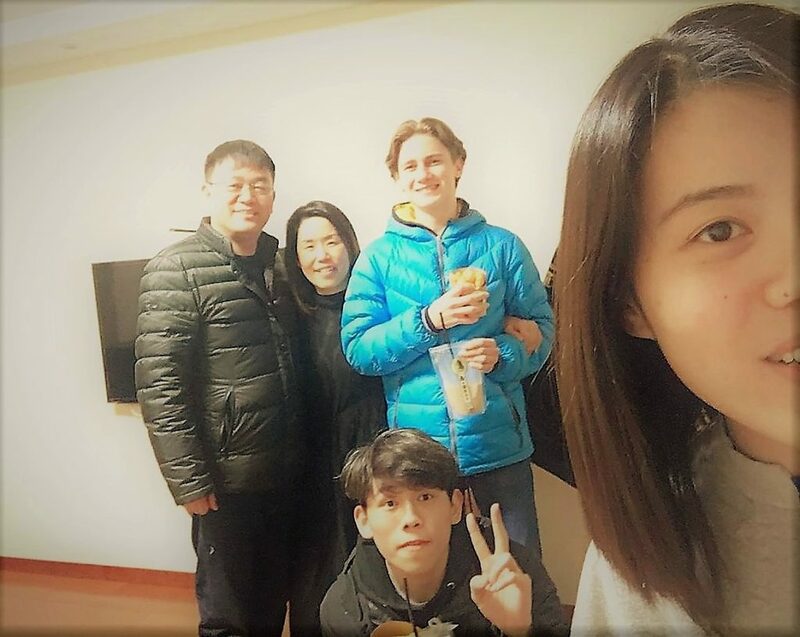 When I stayed in the dorm, I felt a bit lonely, but fortunately I only spent one night a week in the dorm and four nights a week in Mark’s home. The other two nights a week were reserved for trips in and around Haimen. I could tell that my host family had prepared a lot to ensure I had a wonderful experience in China. I heard that my host grandmother was particularly concerned about the food, and worried that my American stomach would not digest Chinese food well. Every meal she prepared for me was homemade and specially designed. Sometimes, we had family dinners out in a restaurant, such as sushi and seafood. My host father was the one who brought Mark and me to school each morning, and we spent time with him in the evenings. Mark and I are the same age, and we have some common interests such as video games. We spent a lot of time playing video games together while chatting with my host mom at the same time. How many cities have you visited during your exchange time, and which one has been your favorite? Why? 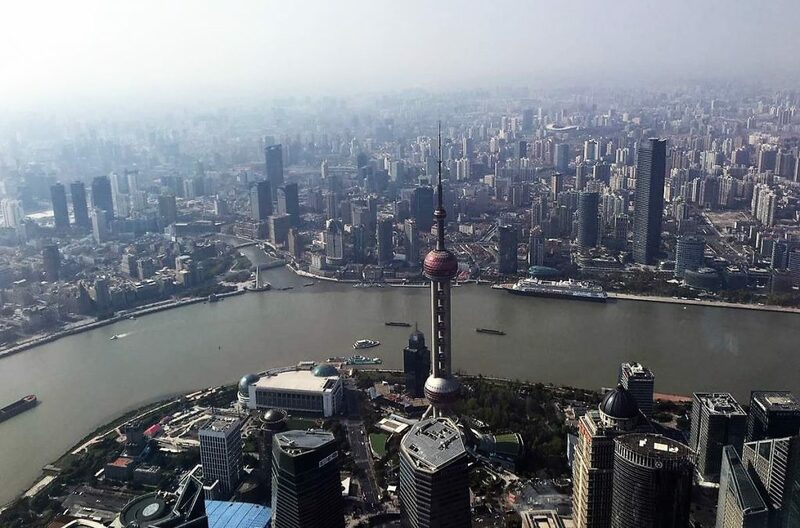 With so many cities around the Haimen campus, I could easily travel to many interesting places including Wuxi, Nantong, Suzhou, and Shanghai, in addition to Haimen. I really liked Wuxi because I like temples and am very interested in Buddhism. 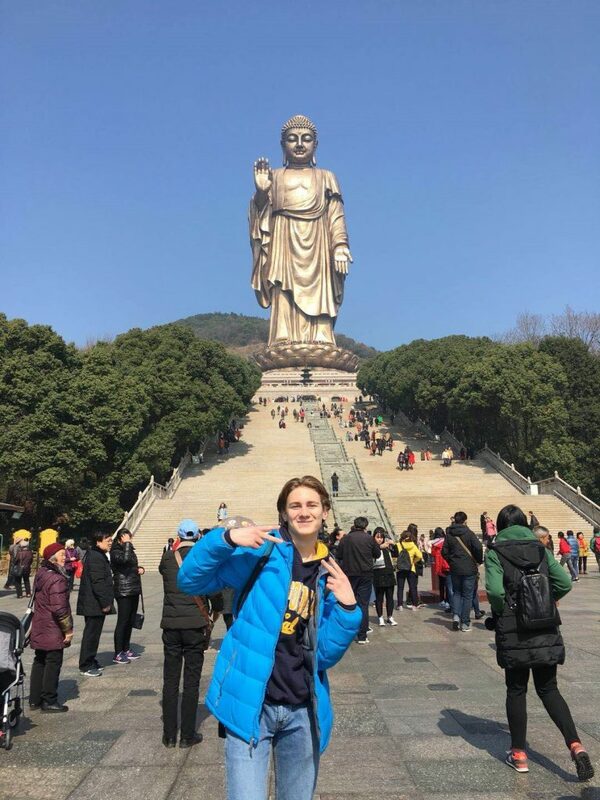 I visited the Grand Buddha at Ling Mountain – a giant Buddha statue which attracts a lot of tourism – and I took a picture of myself with it which soon became my WeChat profile photo! What has been your overall feeling about traveling in China? I can say that travel in China is safe and convenient. People are very helpful and hospitable, and most young Chinese speak some English, which makes it easier to ask for help. Even if you don’t understand each other, you can search for keywords and use body language to communicate. Public transportation, like subways and buses, is super convenient. Haimen is not a big city, but there is always a bus to take you to nearby cities like Wuxi, Suzhou, and Shanghai. And high-speed subway lines, like you see in big cities like Shanghai, definitely improve efficiency and save time. And compared to the US, it felt much safer walking on the street at night! What is your favorite food in China? Chinese food is always delicious, and even though I am a vegetarian, the food has never let me down. I now have two favorite foods here. One is called baozi, and it is a type of steamed bun found in various Chinese cuisines, and filled with meat and/or vegetarian fillings. It is a popular and portable food for any meal, and I usually ate it for breakfast. I learned that baozi has become commonplace throughout regions of South East Asia, such as Malaysia, Indonesia, Philippines, and Japan, due to longstanding Chinese immigration history. My other favorite food here is Mapo Tofu, a dish typically set in a spicy sauce with pork or beef. But I created variations using other ingredients, such as water chestnuts, onions, or wood ear mushrooms. Mapo Tofu is easy to find in US Chinese restaurants but it has been adapted for American tastes. The dish in China is totally different. It is spicy, hot, fresh, tender, and soft. I learned that the dish originated in Sichuan Province, and I plan on trying it there when I return to China. How have you enjoyed your different classes on the Haimen campus? All my classes have been great. 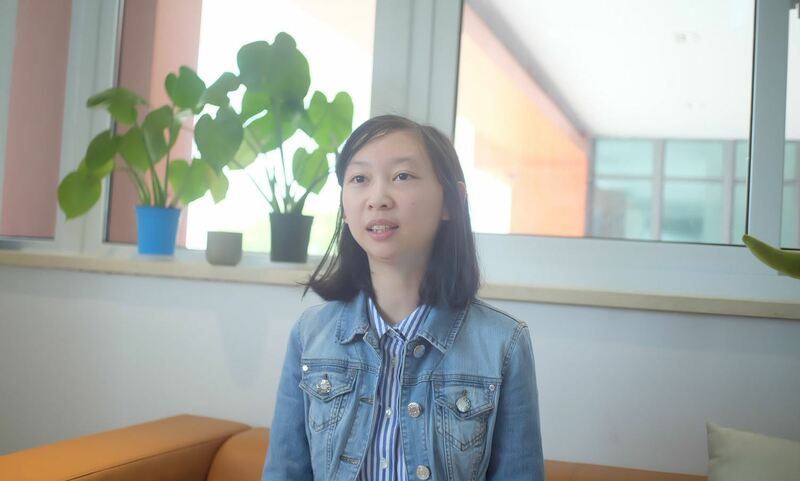 I have a 1:1 class with my Chinese teacher Ms. Piao, which is different from any of my other classes and helps me to understand Chinese more thoroughly. Because Chinese tones are more complicated than English, Ms. Piao would correct my pronunciation over and over, word by word. She also carefully taught me how to write Chinese characters, understand Chinese grammar, and learn how different words are used. I have loved having Ms. Piao as my Chinese teacher because if I ever encountered a problem, I knew I could ask her during our class and we would alter that day’s learning plan. It was very effective and efficient. In addition, I took Calculus here to make up for the math classes I was missing back home. Sometimes I took Biology with Mark. And I have been the teaching assistant (TA) in Science and World Culture & Geography (WCG), both of which I attended with my Chinese classmates. 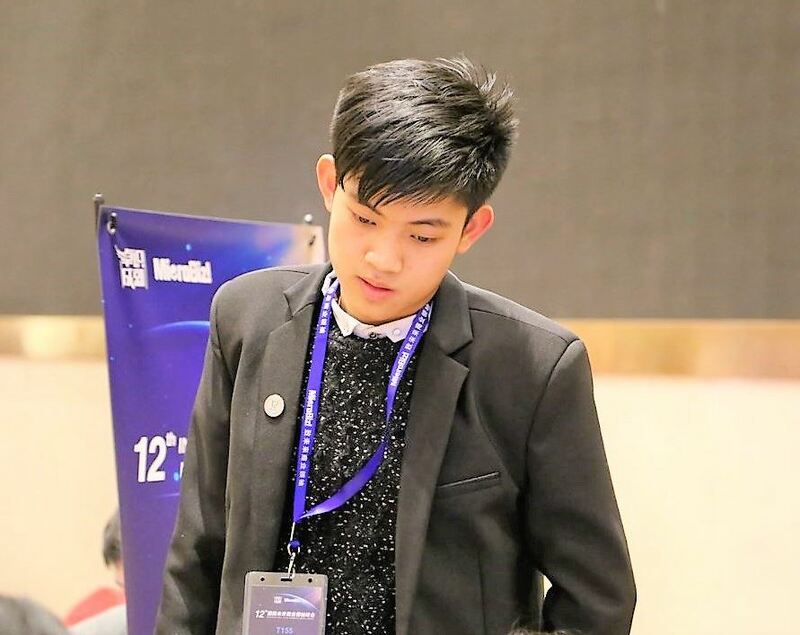 Why did you choose to be a TA during your time in China? Science and World Culture & Geography (WCG) are not easy subjects. 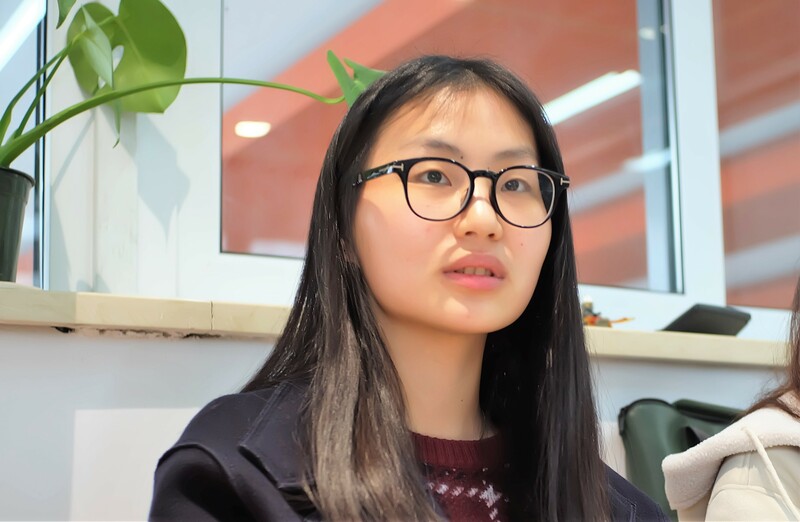 Because all students on the Haimen campus attend classes in English, they sometimes have difficulties understanding the terminology, and that can affect their understanding. 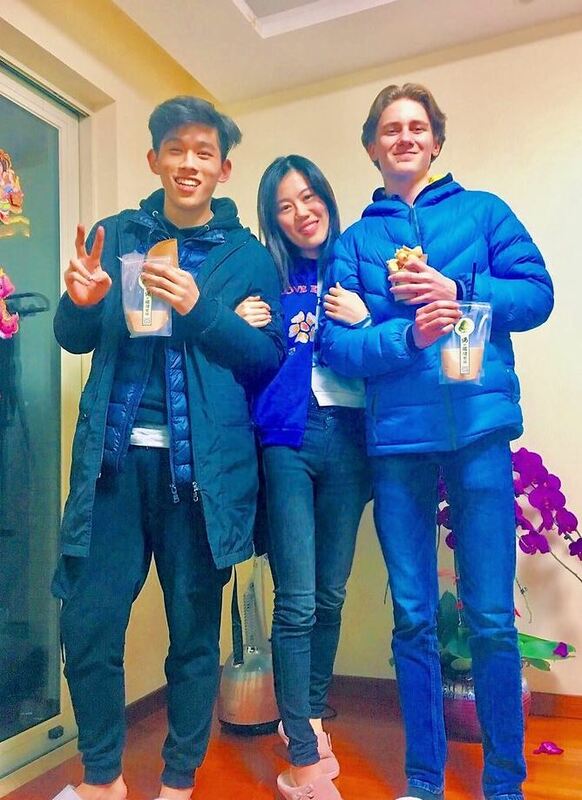 As an American who wants to learn and practice Chinese, I knew I could help them learn English and in turn, they could help me with my Chinese. I participated in their group projects by listening to their ideas and exchanging thoughts with them. This learning pattern definitely helped the teaching process. How has your exchange experience helped your Chinese language skills overall? I am pretty confident now with my Chinese. Because I’m surrounded by the Chinese language, it has created an environment that has been so beneficial to my learning. An immersive experience like this is one of the best ways to improve language skills. I feel like I can greet students on campus and communicate regularly in class. Because I have been taking classes with Chinese students, we primarily speak in Chinese. But if I don’t know how to say something, I explain it in English and they teach me in Chinese. For this reason, I felt like I was continually learning and improving. What piqued your interest in Chinese language and culture? I have always been fascinated with Chinese history. Unlike the much younger American history, Chinese history is more than 5,000 years old, a fact that attracted me from the very beginning. I have learned about ancient dynasties such as Qin, Han, Tang, Song, Yuan, Ming, and Qing, each with its own culture, behaviors, styles, and clothing. Only learning about one dynasty or one part of history is not enough to fully know the development of this country, so I committed to reading and studying about China on a deeper level. Do you have a favorite book in Chinese? The only Chinese book I have tried to read is one on the teachings of Confucius. While it was difficult to understand, I liked how insightful the stories were. The one that impressed me most goes something like this: There is a man who lives in the countryside. He prefers the countryside to the city, even though sometimes there are tigers. When people ask why he chooses to live like that, he answers that the threat of tyranny is much worse than the threat of tigers. The story inspires me to look at things in a different way. One choice may have its disadvantages but when compared to other choices, these disadvantages can become advantages. The story also triggers my interest in philosophy, a subject I plan to learn more about because it is like a lighthouse that guides you. 低头思故乡。Then lower my head and think of home. What have been your expectations and goals of this international exchange program? Learning Chinese and travelling have been my priorities. 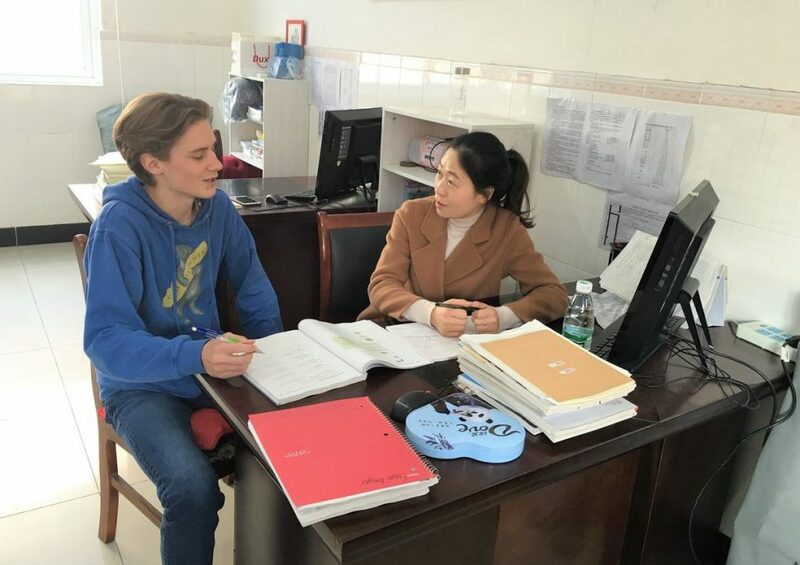 I am happy that my Chinese has been rapidly improving since I arrived, not only because of my teacher’s help, but also because of the surrounding environment. I think my Chinese classmates would have a similar experience improving their English if they joined one of KL’s US exchange programs. My host family, teachers, classmates, and friends can all speak to me in Chinese, and that means I can keep learning and practicing. In addition, KL staff and my Haimen teachers arranged such great travel plans for me. I liked the beautiful views in Nantong, the gardens at Suzhou, and the Grand Buddha at Ling Mountain in Wuxi city. And I was amazed by Shanghai both during the day and at night. But I especially loved being at my school in Haimen. How has the combination of host family, classmates, teachers, and KL staff helped you throughout your exchange experience? I feel really lucky to have met such nice people in China. Whenever I had difficulties, someone was always there for me. Mark and my other classmates regularly helped me when I misunderstood something. For example, one day on my way to my host family’s home, the security at the gate stopped me and asked me which apartment I was going to. I didn’t understand him, and had to stand there waiting for Mark to arrive. Mark explained to me the meaning I had missed, and taught me how to answer in the future. After several times, I could answer by myself. Mark was also often the translator between his mom and me, so that we could better understand each other. In addition, school and KL staff arranged my classes, brought me on city tours, helped me with daily life, and got me used to life in China. I really appreciate everything they’ve done for me. 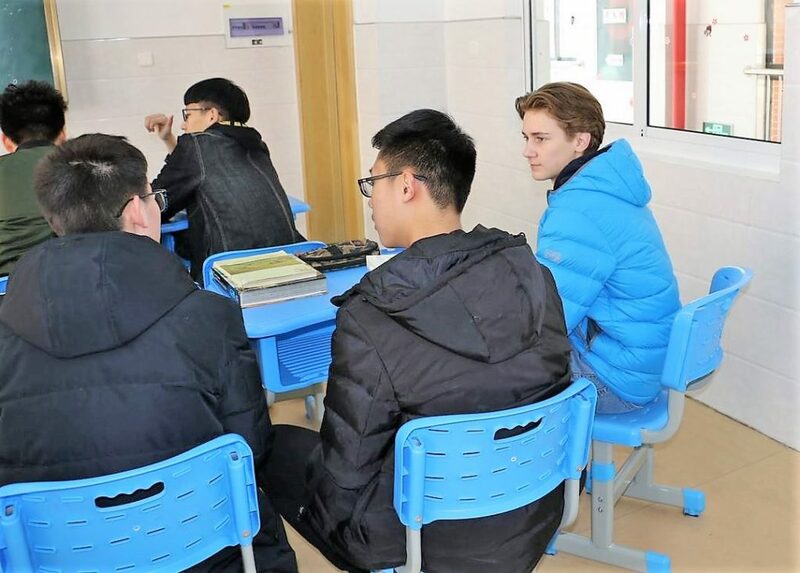 If your classmates in the US are thinking about following in your footsteps as exchange students in China, what recommendations or suggestions do you have for them? I plan to tell them everything I know about China because I have a much deeper understanding of this country now. I will share the benefits of studying abroad and in particular studying in China. It really is an ideal place to learn and travel. The people here are wonderful, the food is delicious, and the scenic spots and ancient sites are full of stories and history. There’s so much worth learning in China. 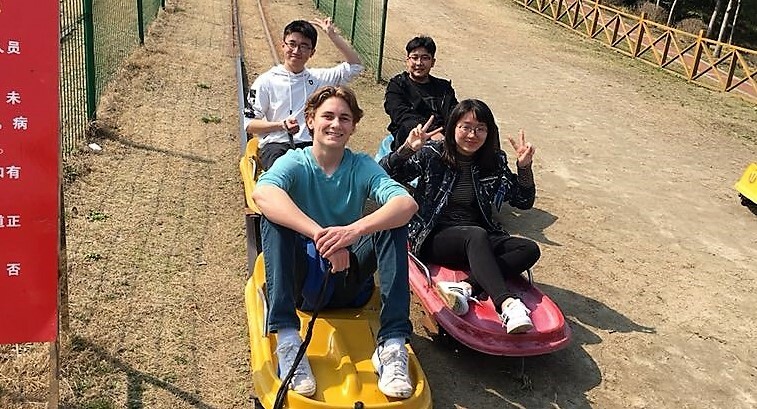 Learn more about our outcomes-driven Exchange Programs that can give your school community a powerful advantage while helping students realize their dream of studying abroad. Learn more about our KL Schools and how we are transforming international education.